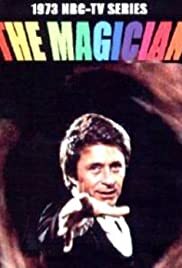 A magician is asked by the mother of a plane-crash victim to check into a possible conspiracy; he discovers that the plane crash was staged. Anthony Blake: What color are your draperies? Sally Baker: Pink, to remind myself I'm a woman. Anthony Blake: I don't need a reminding. but largely unfulfilled premise involving a magician/performer who does well enough to drive a white 'Vette. Presumably, his travels to the next gig provide opportunity to run into new people and situations (rather like Route 66) but the series writing never lived up to the possibilities offered by the smooth Bixby and other good actors.